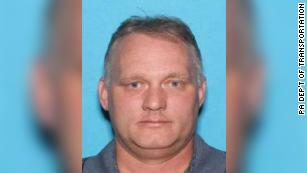 Authorities could bring criminal charges against the suspected gunman in the fatal shooting at a Pittsburgh synagogue as soon as today, Scott W. Brady, the United States attorney for the Western District of Pennsylvania, said in a news conference. A city official had previously told CNN 10 people were killed. 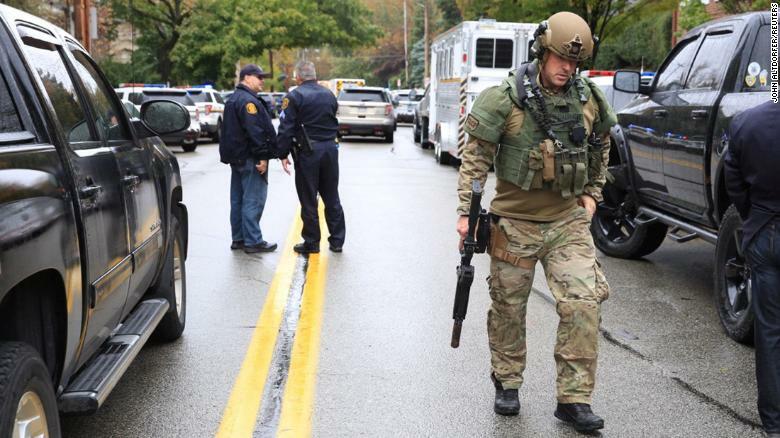 Ten people were killed in a shooting Saturday morning at the Tree of Life synagogue in Pittsburgh, according to Curt Conrad, chief of staff for Pittsburgh City Councilman Corey O’Connor. •The shooter was also taken to a hospital, Hissrich told reporters.Conrad, the chief of staff for a councilman, previously told CNN the shooter surrendered and was taken to Mercy Hospital. Pittsburgh police Cmdr. Jason Landopreviously said officers were dispatched to the scene Saturday morning after receiving reports of active gunfire at the synagogue. 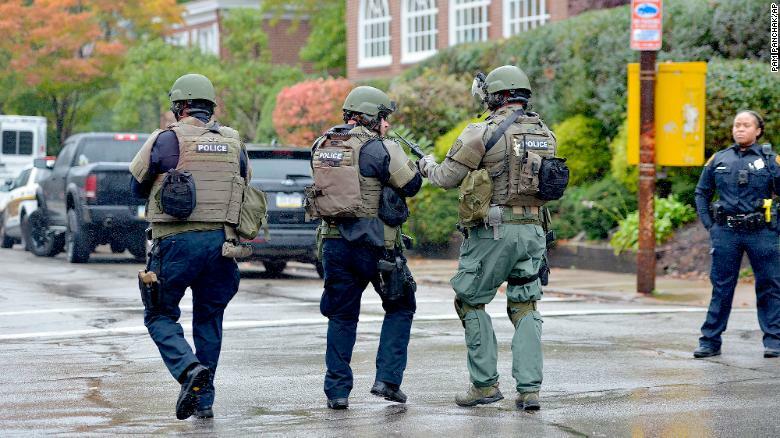 Rapid reaction SWAT members leave the scene of a mass shooting at the Tree of Life Synagogue in the Squirrel Hill neighborhood on October 27, 2018 in Pittsburgh, Pennsylvania. I am on the scene at the Tree of Life Synagogue shooting in Pittsburgh. I have spoken with local leaders and my administration and the @PAStatePolice will provide any resources to assist local law enforcement and first responders. 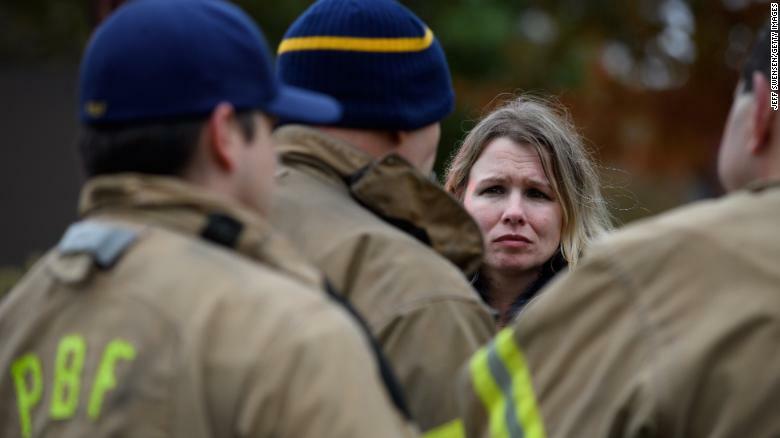 An unidentified woman asks for a status update from Pittsburgh City firefighters a block away from the site of a mass shooting at the Tree of Life Synagogue on October 27, 2018 in Pittsburgh. 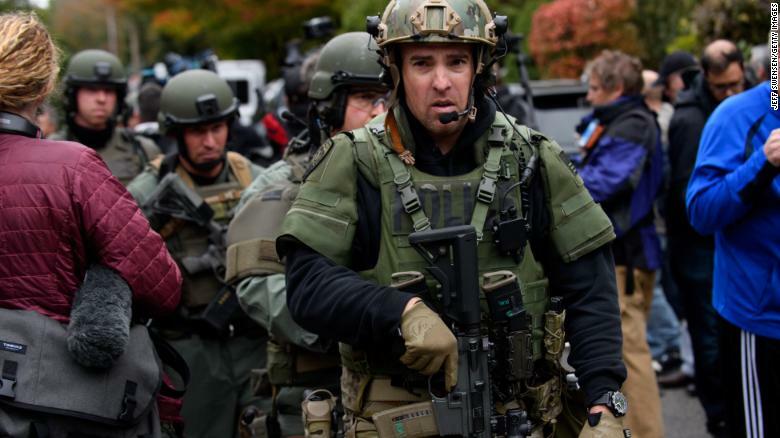 A SWAT police officer and other first responders respond after a gunman opened fire at the synagogue.